Last update covered the fact that bears appear to be holding most of the cards at the moment, and the price action since then has only adds confidence to that outlook. Bulls got pretty excited by Monday's 20-point SPX rally (which was exactly what the market wanted), but that rally was only wave C of an increasingly-complex flat correction (this option was noted in passing on Monday's 10-minute SPX chart). On Tuesday, Monday's rally was immediately retraced by more than 100%, which decisively confirmed Monday's rally was an expanded flat C-wave, and not the beginning of anything truly bullish. Near-term, bulls' main hope appears to be for the expanded flat to continue through another up/down sequence (expanded flats are time-wasting chop zones), but it appears that all roads ultimately point lower. Beyond that, there's nothing to add to Monday's update. 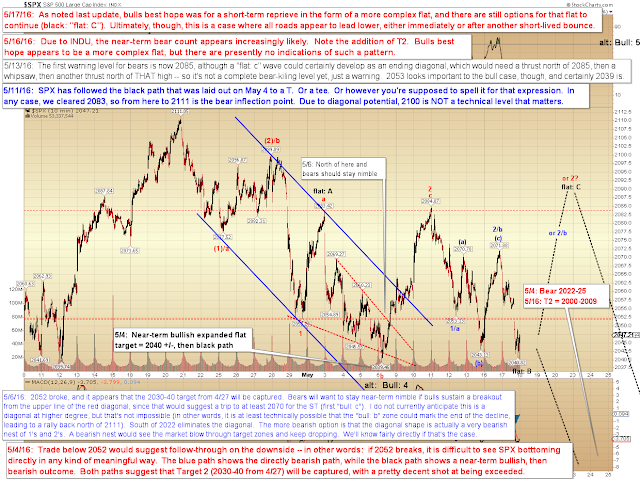 The odds are still that bears are holding the cards for now, regardless of whether bulls get a short-term reprieve or not. 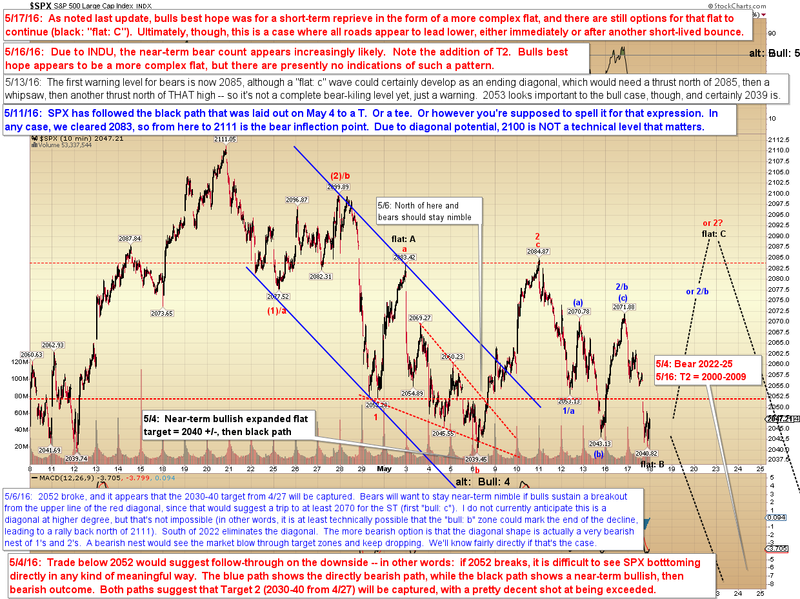 Sustained trade north of 2112 continues to be required in order to call the near-term bear outlook into question. Trade safe.